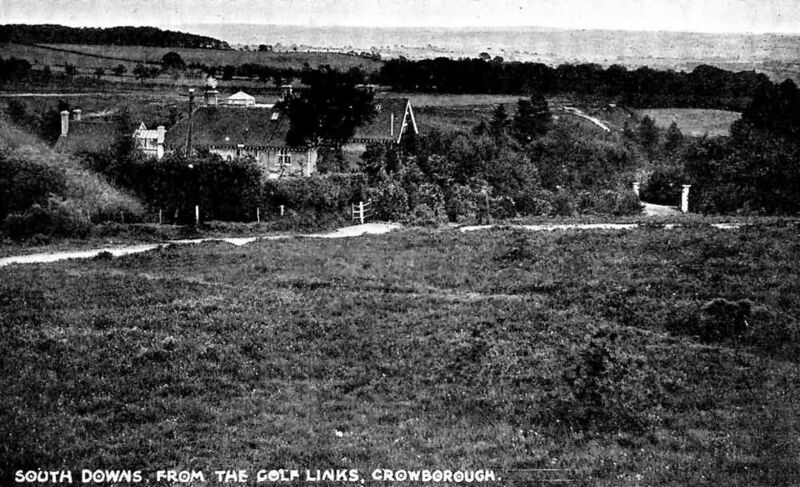 Crowborough Beacon appears to be almost unique amongst Sussex golf clubs in that it became a favourite subject for several well known photographers of the early 1900's. We are fortunate that many of their photographs were printed as postcards and as a result the ancient views have been preserved. 100 years ago, sending a postcard was the quickest, cheapest way of communicating. As with today's texting, the message was usually short and was a way of keeping in touch. 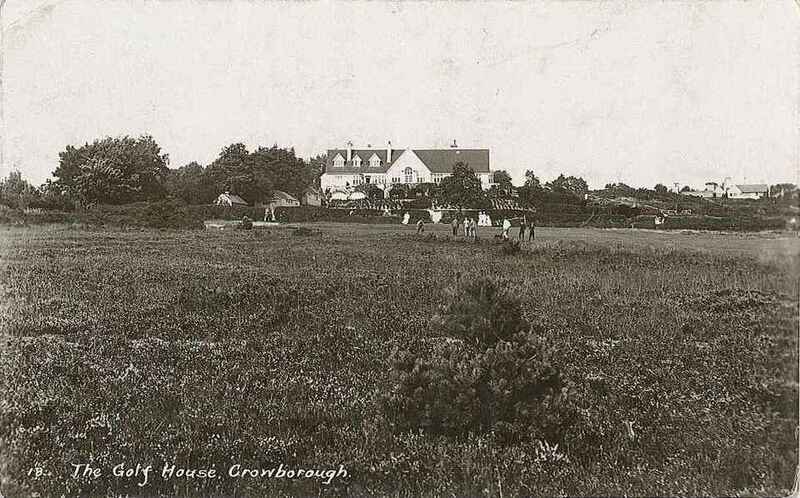 With the advent of cheap photographic printing the picture postcard became popular for showing people where you were or had been. 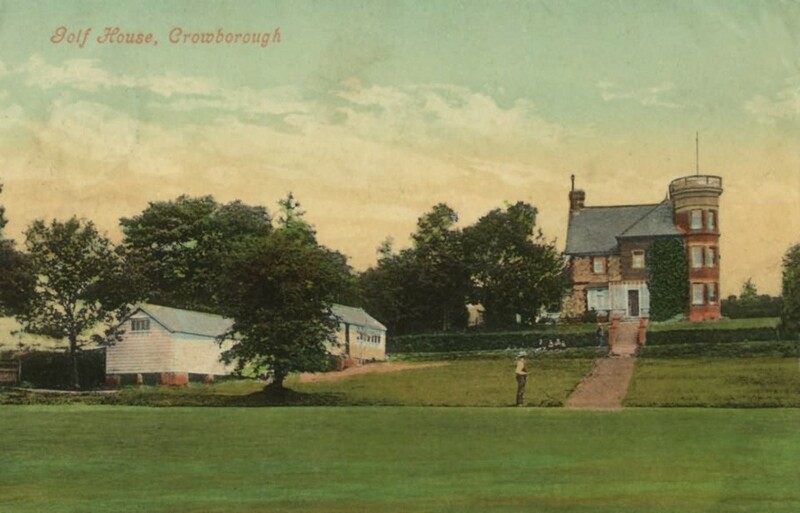 Maybe it is its fantastic views, or perhaps some other obscure reason, but Crowborough Beacon golf course and the Clubhouse feature on many different postcards of the era. 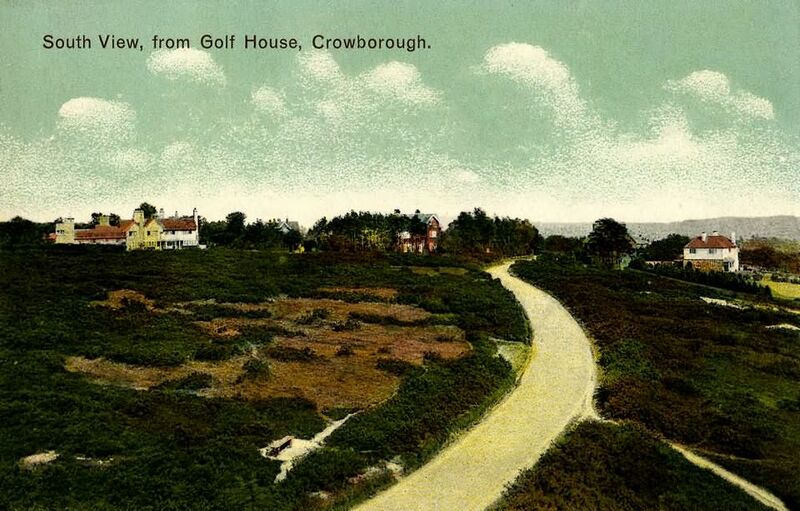 Royal Ashdown Forest and Royal Eastbourne golf clubs both appear to be the next most popular golf courses featured on early postcards but neither come remotely close to the number of different historic views that were produced of Crowborough Beacon. 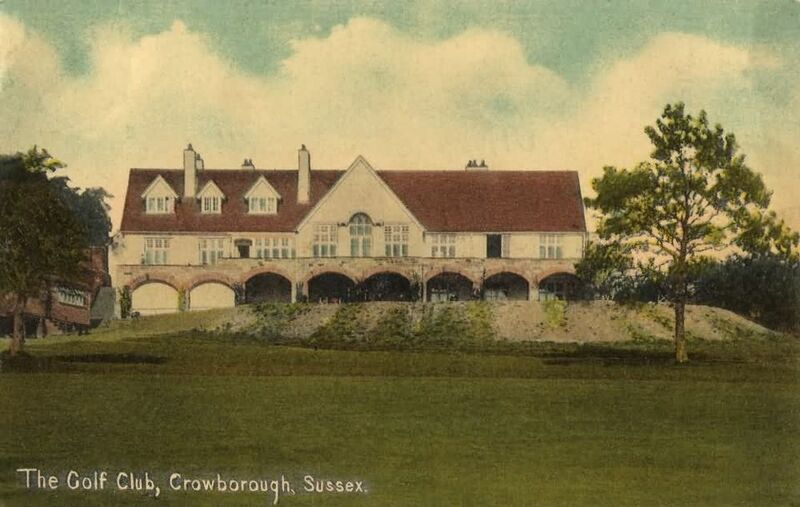 The Club's collection of postcards are scattered around the walls of the Clubhouse, in the archives and in private collections. www.theweald.org has been an invaluable source and is well worth a visit for anyone interested in the history of the area. Here are those pictures from the past brought together for the first time with an attempt to date the photograph and a little explanation about each view. Click on the thumbnail to see the picture at full size. pre-1895? 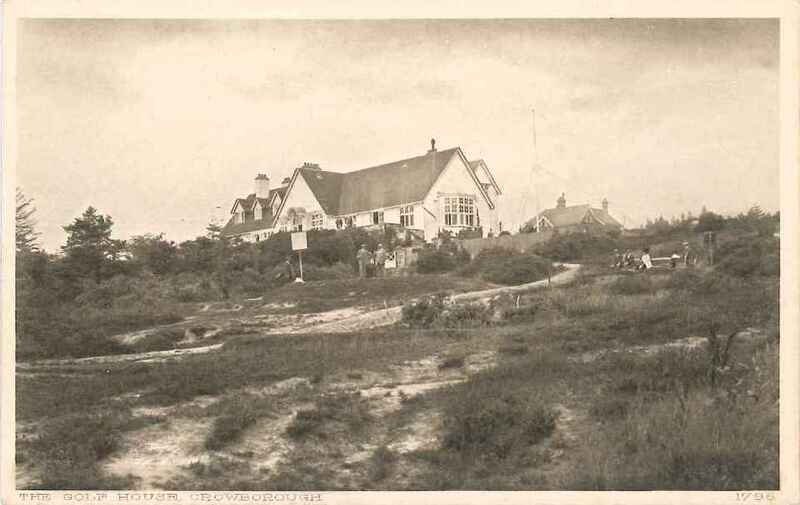 Possibly the earliest photograph of Chiflik, the house that became the original Clubhouse. 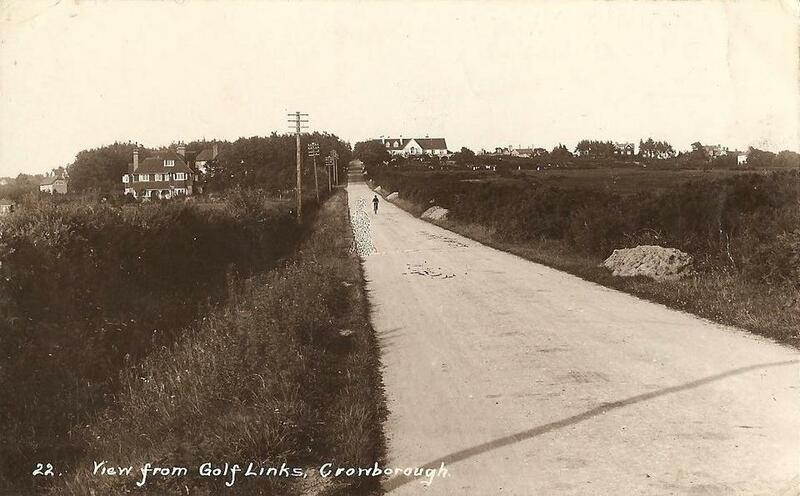 This shows the area that was to become the 18th fairway and green. There is a house visible through the trees behind Chiflik. When was it demolished? 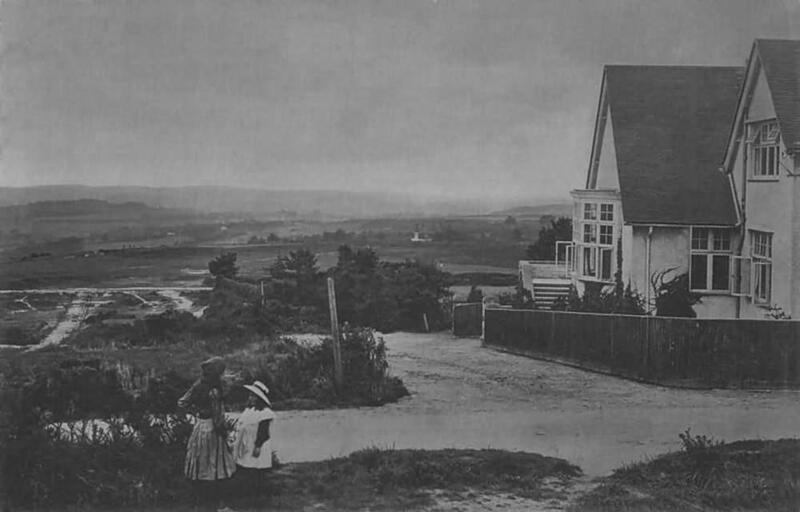 1902 Chiflik and the gate that led to the 1st tee. The house behind Chiflik, a shadow in the previous photograph, is also visible in the background. 1905 Possibly earlier than 1905 as the garden around Chiflik looks unkempt in comparison with later photographs. One wonders who the two golfers might be. 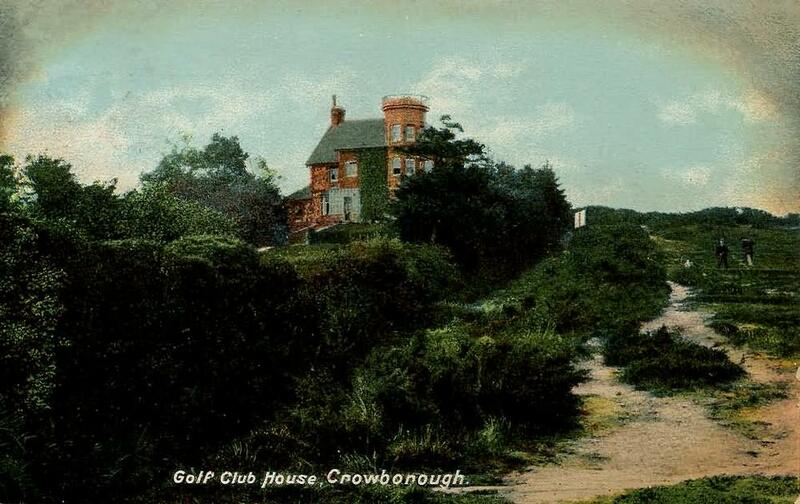 1905 Chiflik in 1905 by Crowborough photographer A H Stickells. 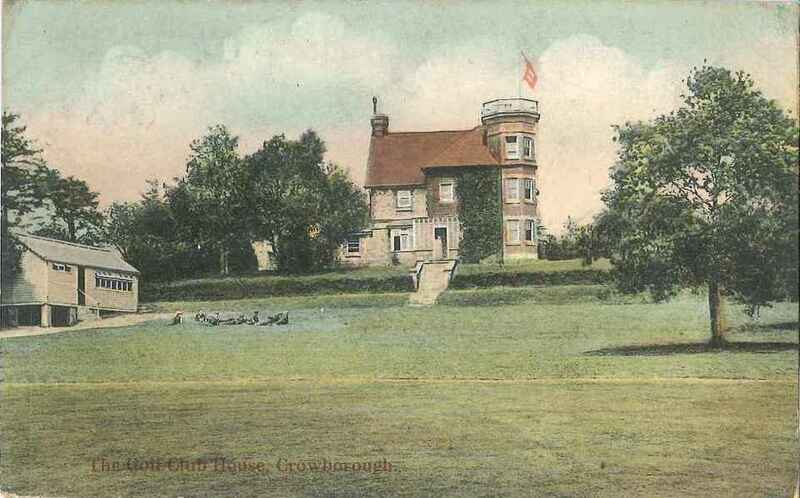 Although originally taken from a photograph this hand-coloured postcard may have been severly doctored to make the house surrounds look tidy. 1905 Another view of Chiflik in 1905 published by the same printer as the picture above. This was A H Homewood of Burgess Hill. The postmark on this card is June 1905 indicating that the photo could have been taken earlier. 1906 View from the Clubhouse by A R Quinton, a celebrated watercolour artist known for his paintings of British landscapes. 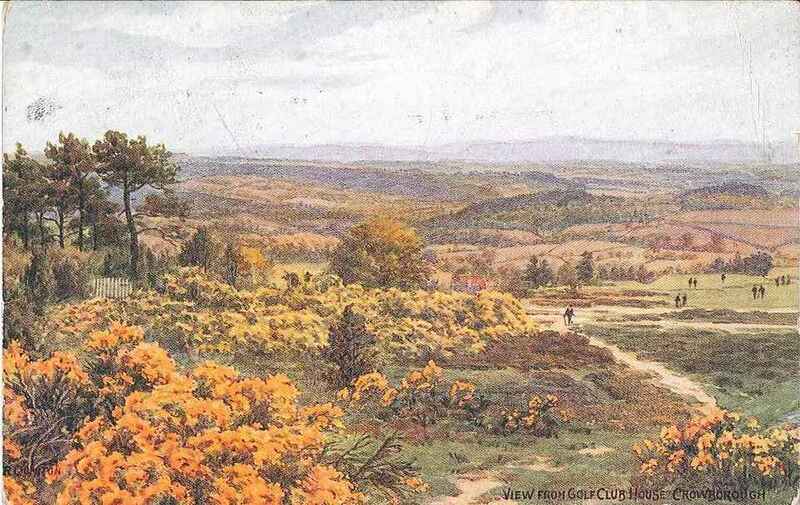 In this view of the first he has featured the yellow gorse from which the name Crowborough is believed to be derived - " Crohbergh" in Old English translates to saffron hill. 1907 Printer: A H Homewood of Burgess Hill. 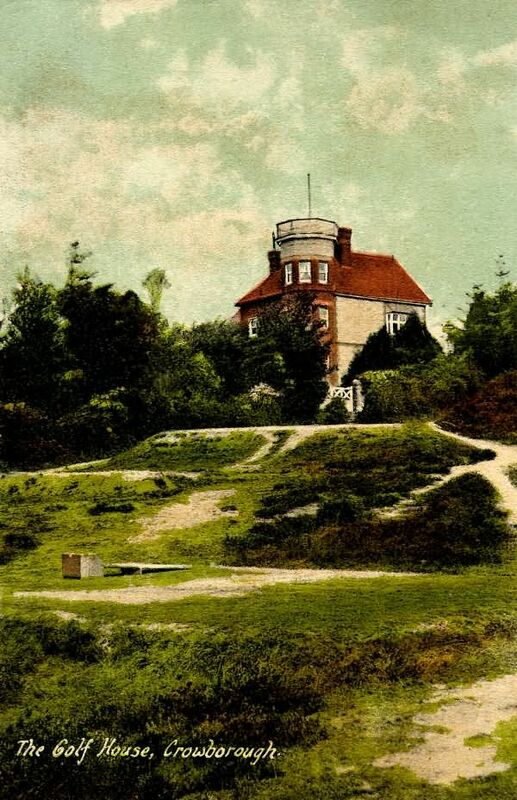 1908 Although dated to 1908, this is a hand-coloured version of the 1905 photograph. 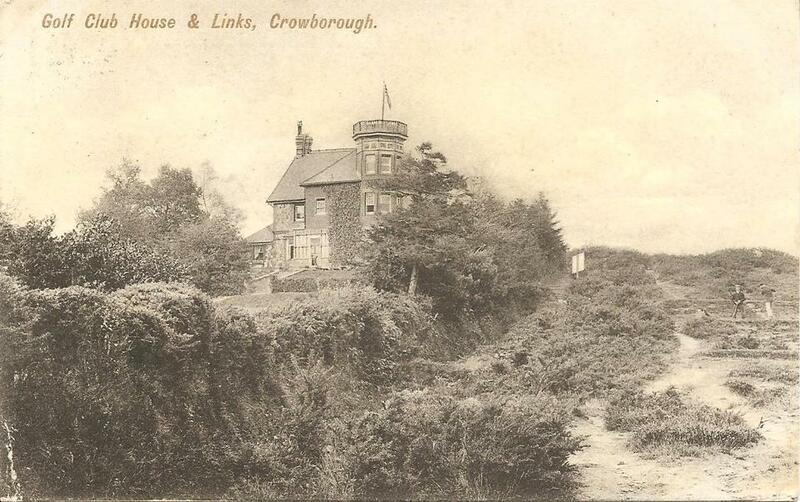 1908 Titled as "Bridge and Waterfall, Golf Links, Crowborough". Is this the fifth where there is still evidence of a stone built bridge? 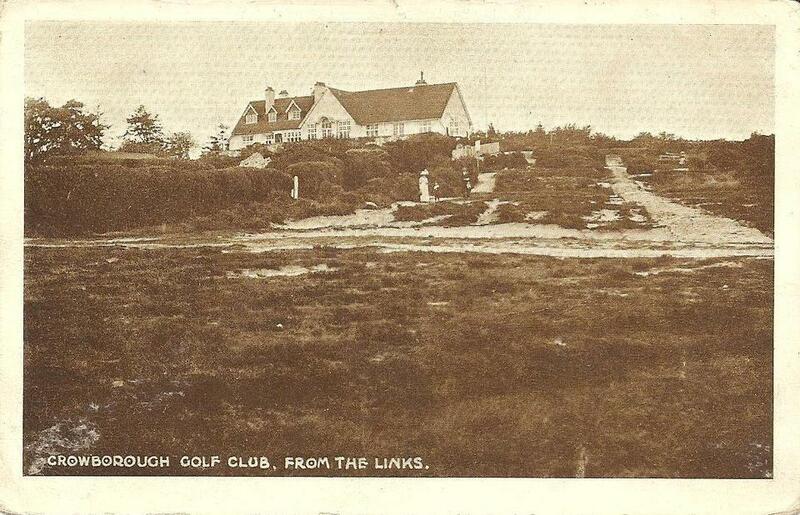 Later postcards leave out the "Golf Links" part of the title. 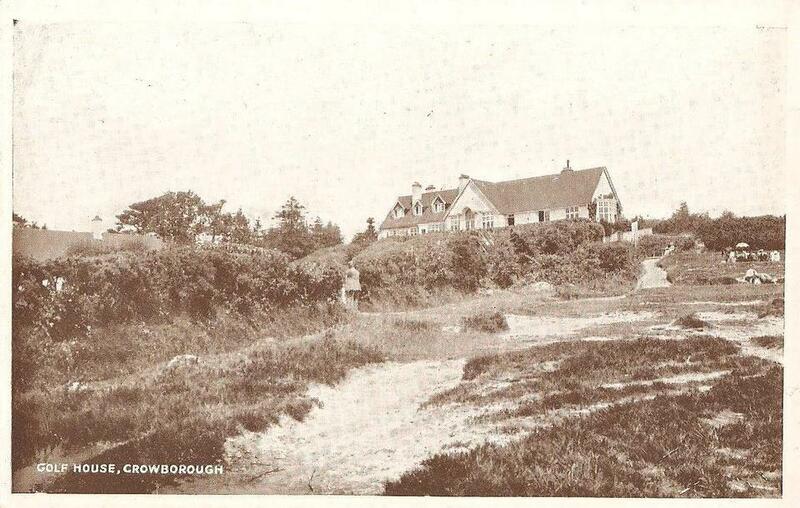 1910 The new Clubhouse from the North taken on a different day. Note the cowl on the Chimney that appears in most other photographs but not the one above. 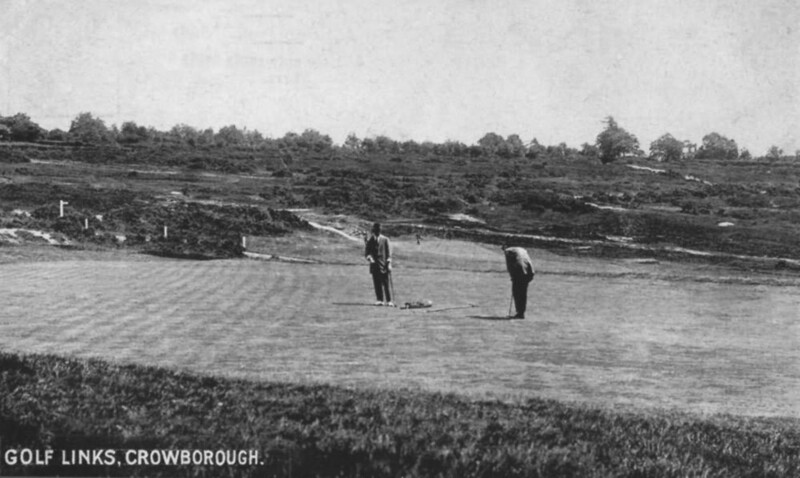 1910 Magnificent view of the east side of the new Clubhouse looking down the first. 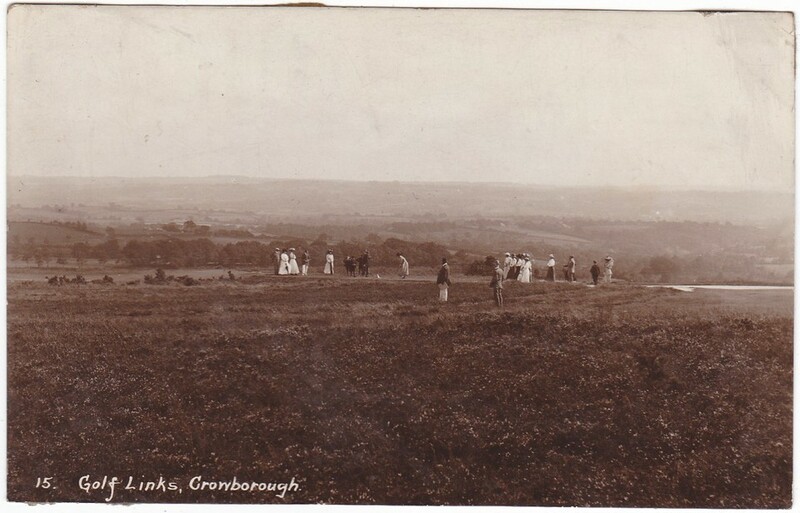 1913 Two picture postcards of Ladies playing at Crowborough. 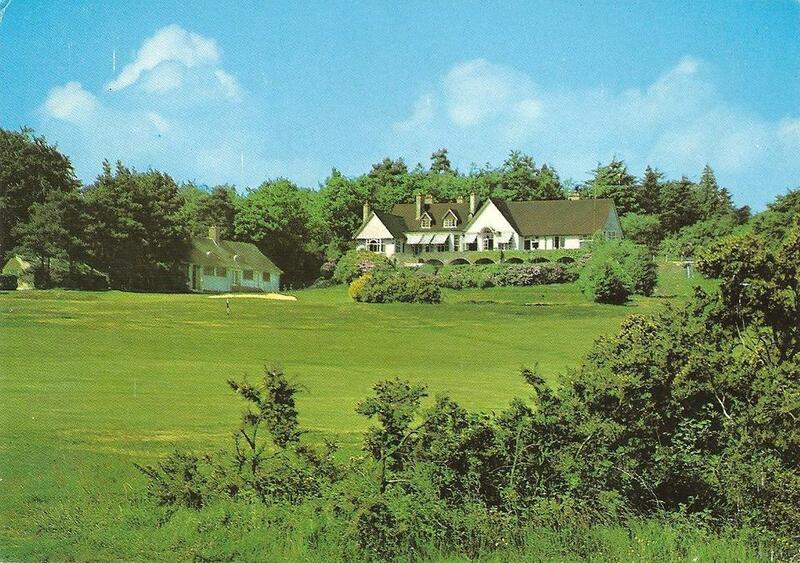 They are playing from the original 18th tee on the south side of Sheep Plain in the area of the current second tees. 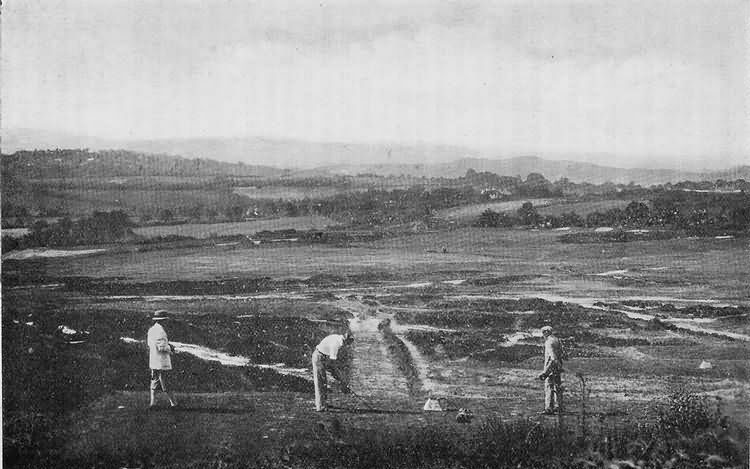 The cut surface middle right is the site of the current first green which was the 17th at the time of this match. 1913 Obviously the same match as above in 1913. The photographer has moved round slightly for the second Lady's shot from the 18th tee. This postcard though has a postmark dated 1922. 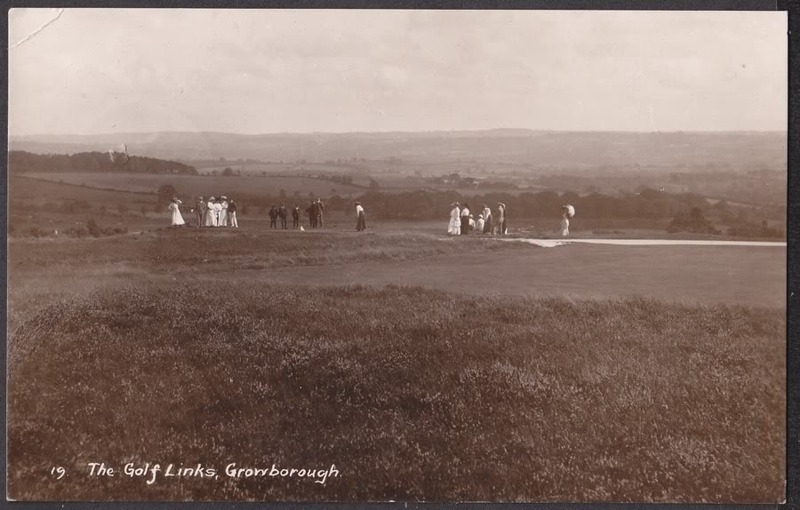 1913 Photographed and printed as part of the same series as the Ladies match seen in the previous two postcards. It is likely that the people on what was the 18th green includes the two Ladies concluding their match. 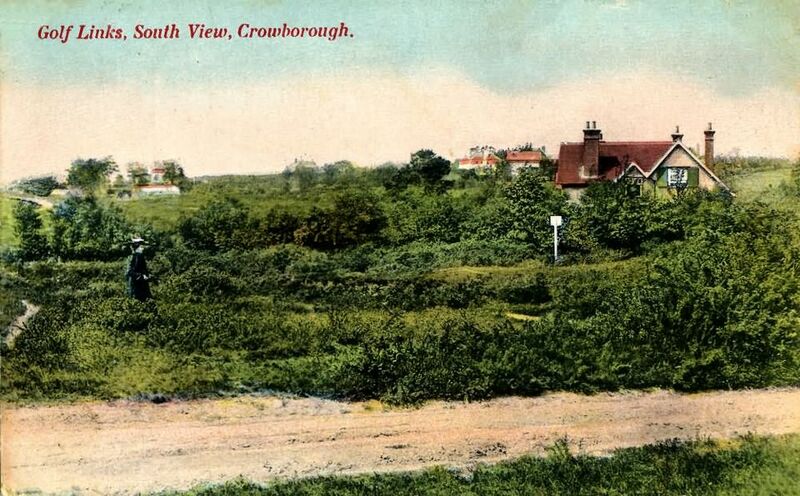 1913 Postcard of the The A26 taken around the junction with Sheep Plain. The new Clubhouse is clearly visible. Original postcard has a 1915 postmark. 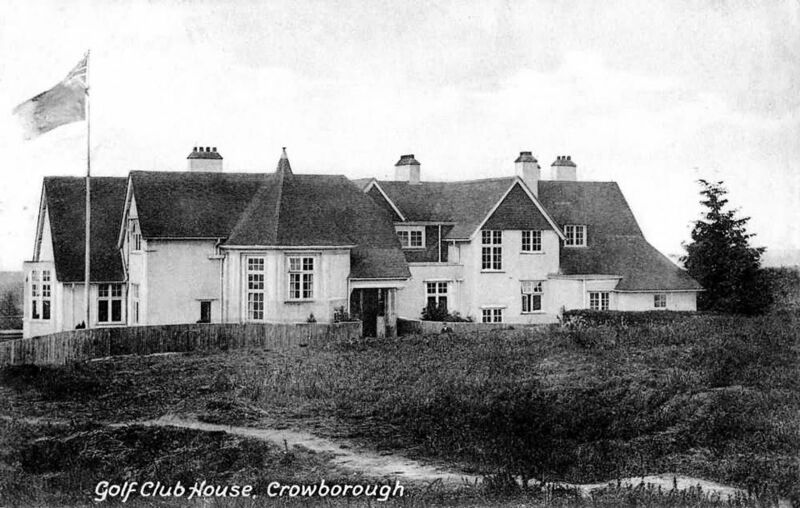 1915 A view of the recently completed new Clubhouse between 1910 and 1915 showing the large house in the background, possibly the same one as seen in the early pictures of Chiflik. 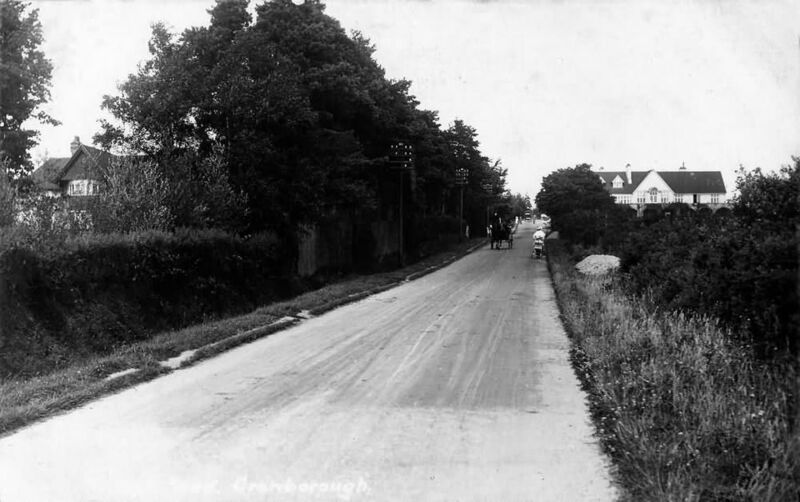 1916 Further up the A26. Note the lady able to push a pram along the road without fear of injury. Probably taken at the same time as the photograph above. 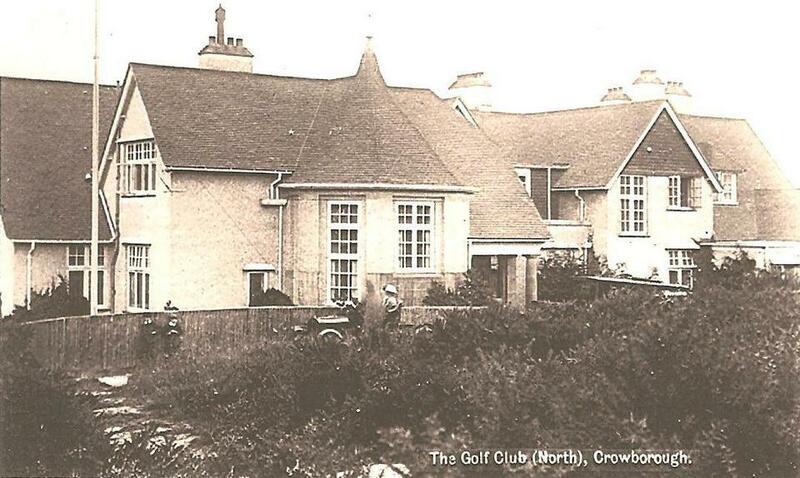 1916 New Clubhouse probably before the existing Professional's "Showroom" and Caddy Room were built. The postmark on this card is 1916 but the photograph was taken a year or two earlier. 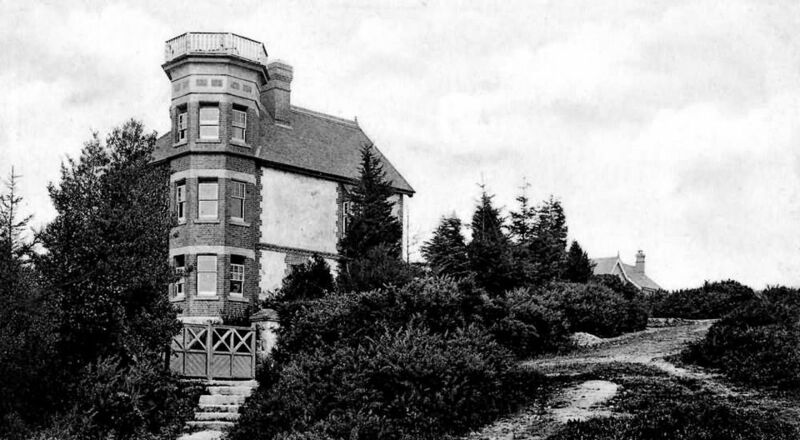 1916 The roof of the new Professional's Showroom can be seen clearly over the hedge. 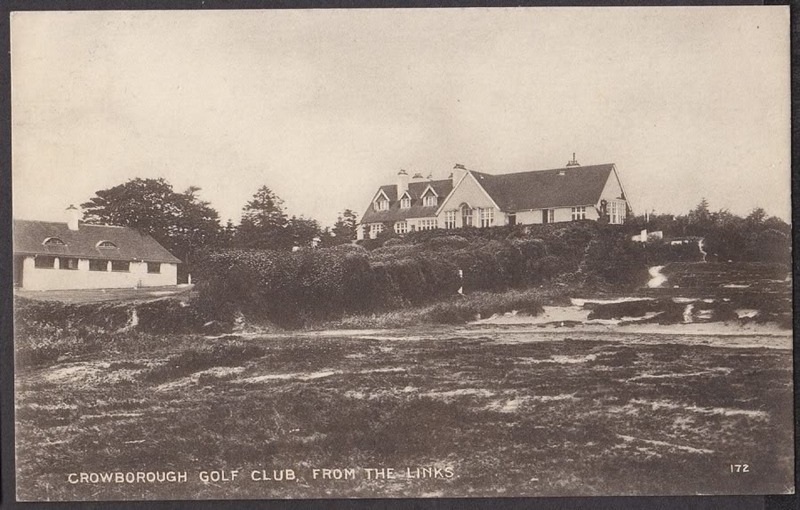 1916 The new buildings at the side of the 18th are revealed in this postcard. The Professional's Showroom was nearest the Clubhouse with a door in the north wall. The Caddies room had doors opening onto both the road and the course. 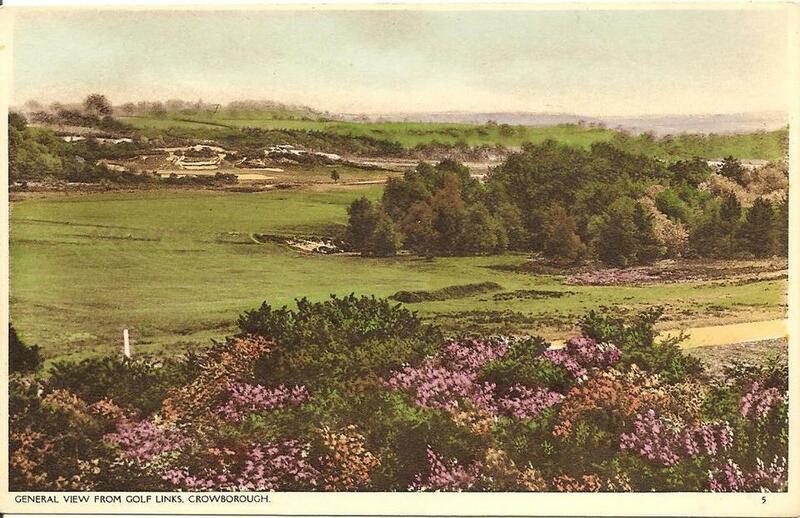 Postcard by Webb & Longstaff. 1920 View from the current General Manager's Office looking eastwards down South View Road. 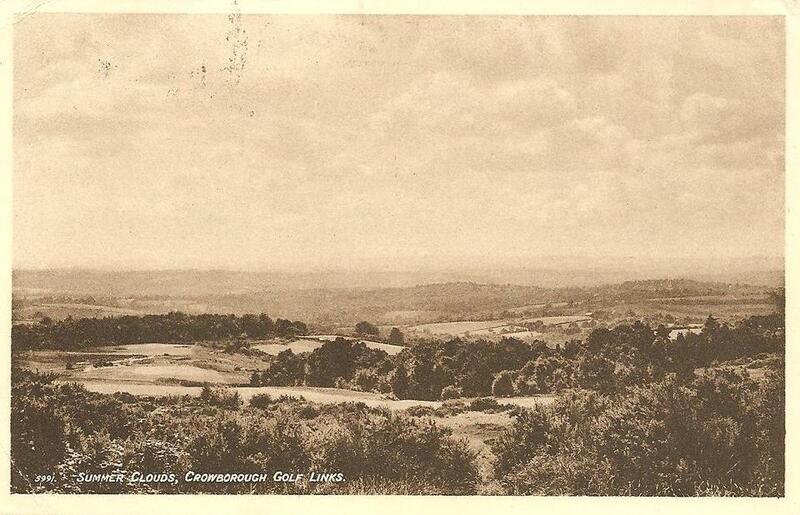 1920 Titled "South Downs from the Golf Links, Crowborough". 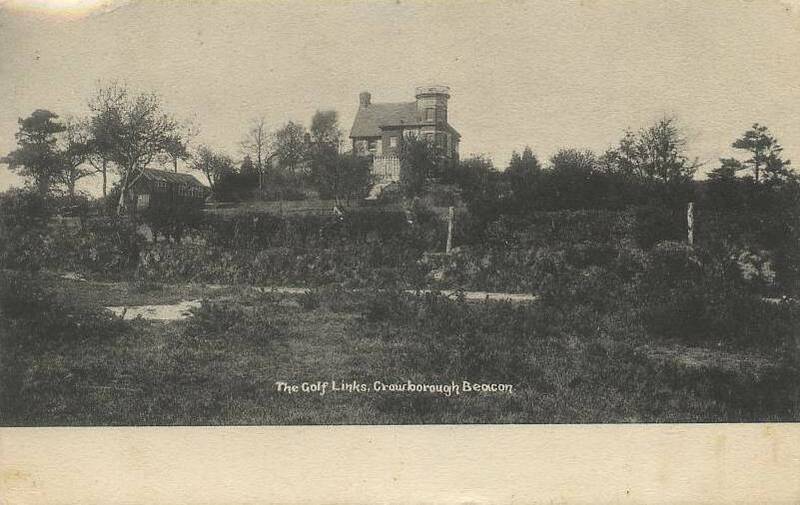 This is probably taken from what is now the wooded area on the right of the 16th looking at the house called The Ghyll. To the right can be seen the fifth teeing area and running directly behind the house, the fourth fairway. 1927 Photograph of the Carry at the First was taken by A H Stickells and appeared in the Booklet "Southern Highlands" in 1927. 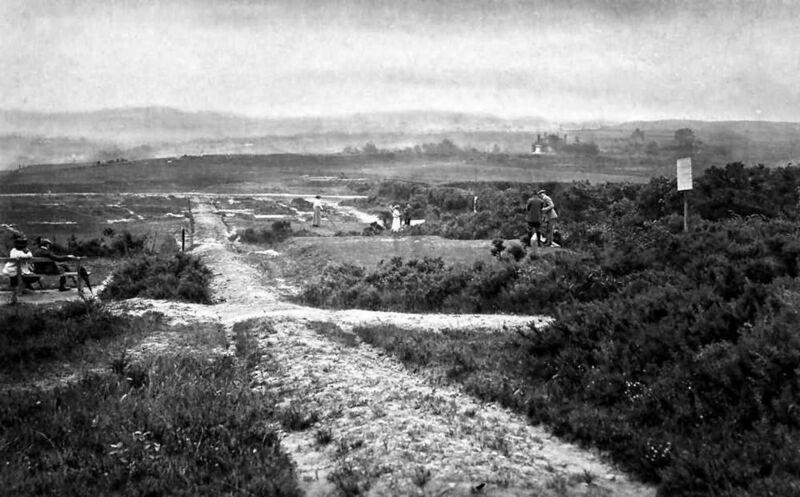 1934 A view across the second and to the fourth in the distance. Postcard has a 1934 postmark although the picture is possibly much earlier. 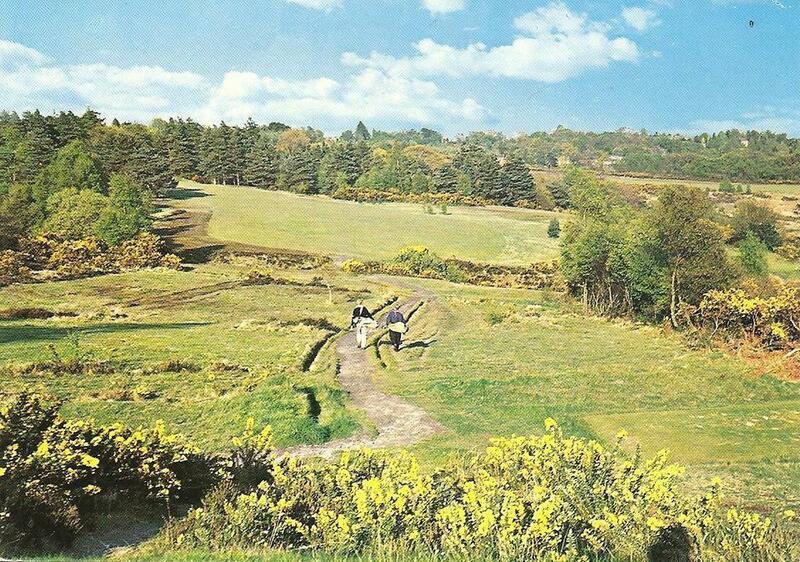 1970/80s Undated postcard of the modern era showing the 16th from the teeing area.